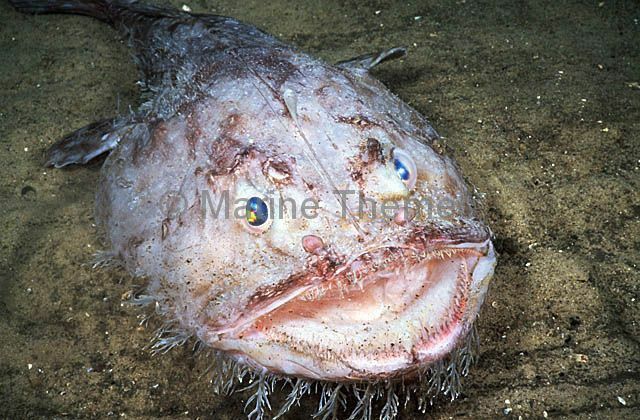 Goosefish (Lophiides naresi) Deepwater species with extended illicium lure used to attract prey. 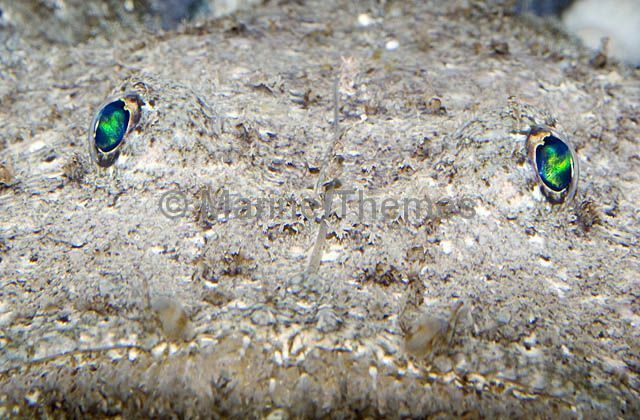 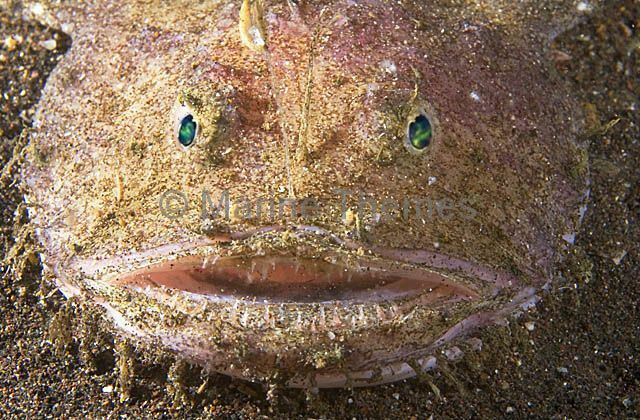 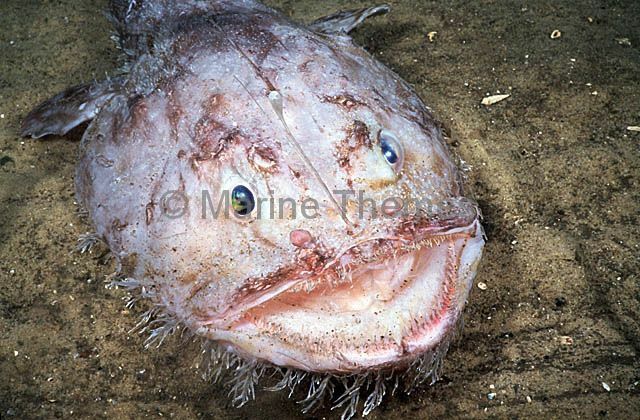 Blackmouth Goosefish (Lophiomus setigerus) portrait. 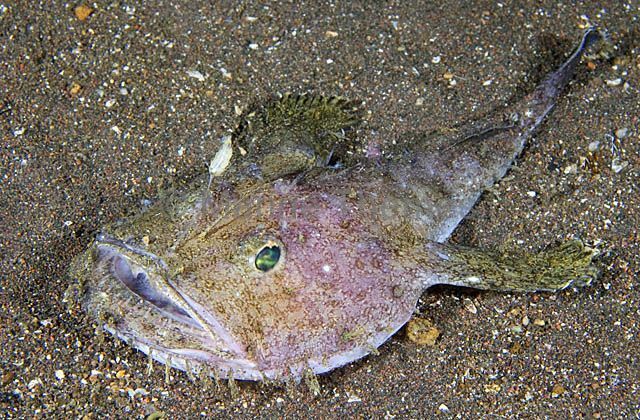 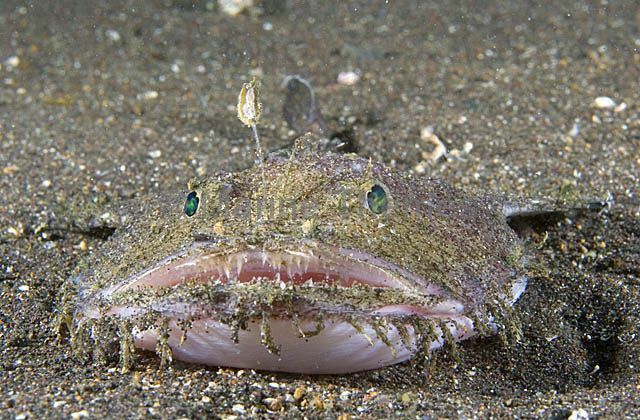 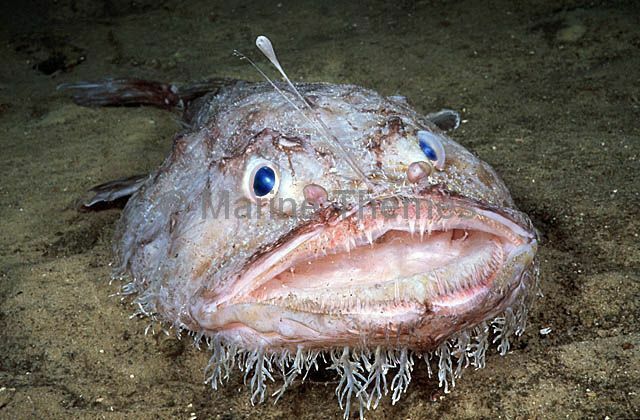 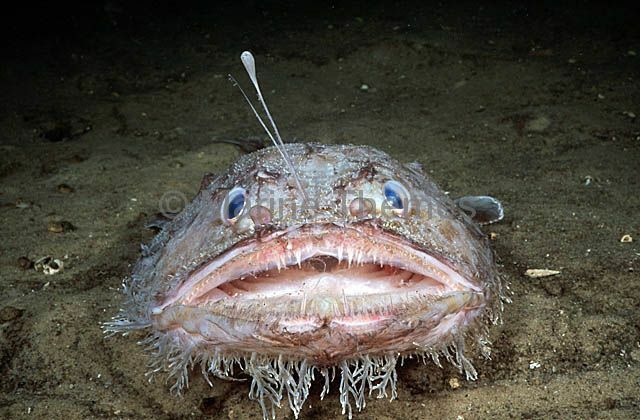 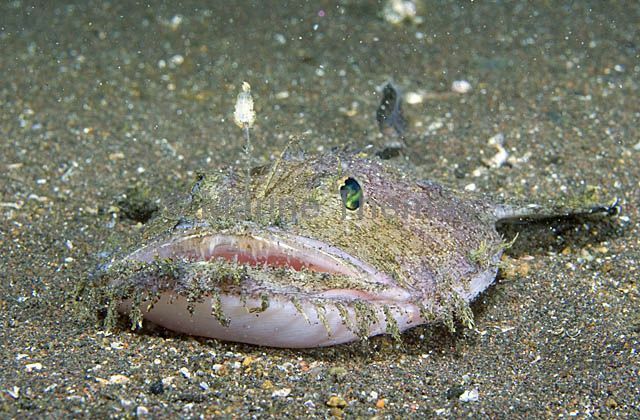 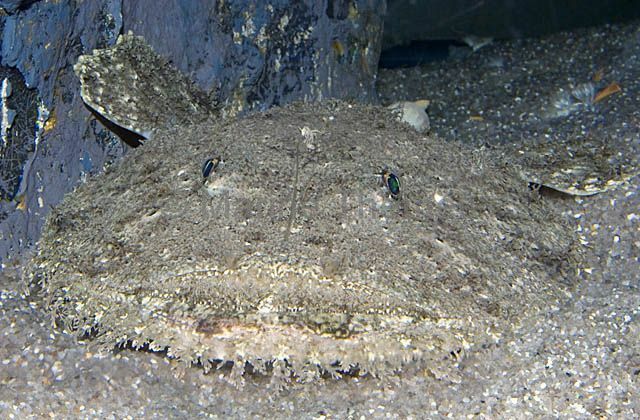 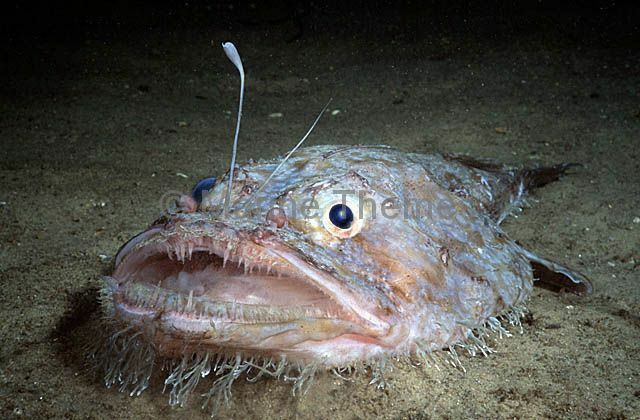 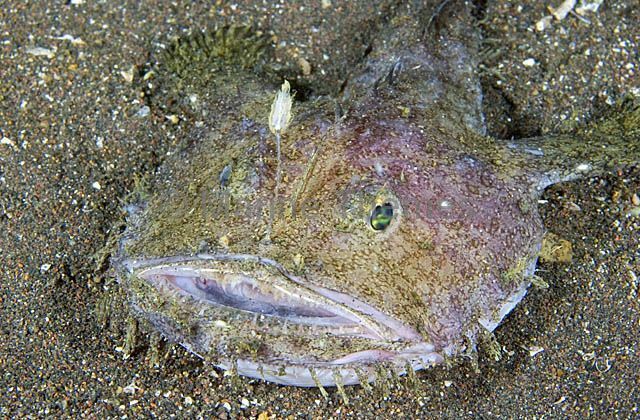 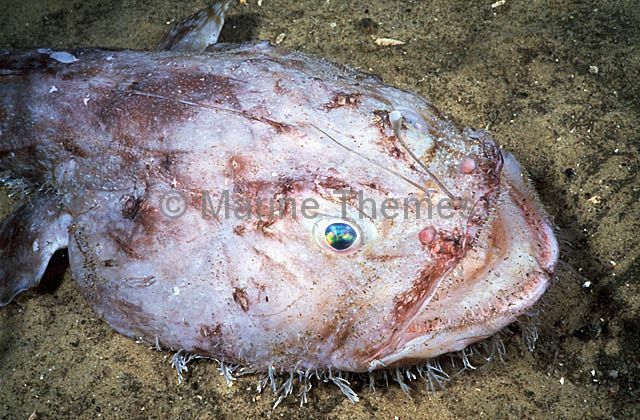 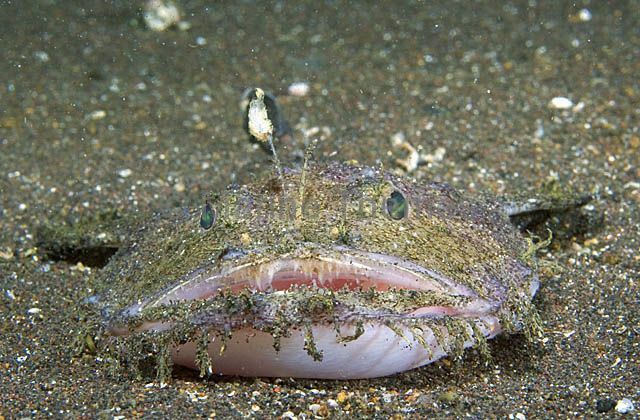 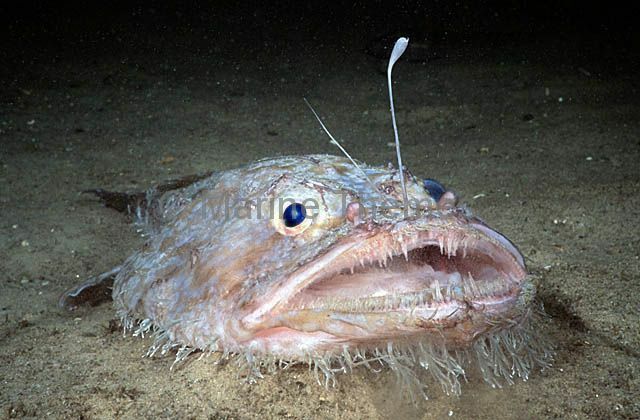 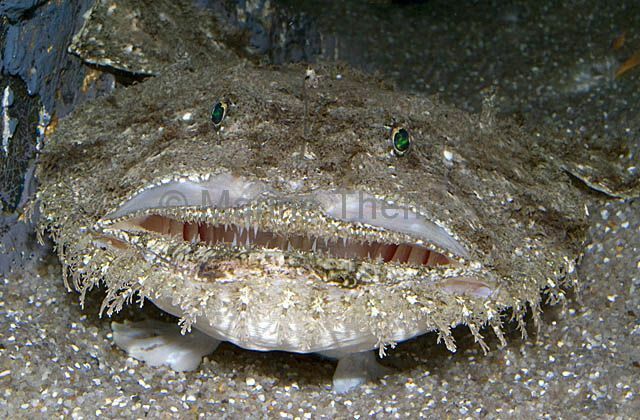 Blackmouth Goosefish (Lophiomus setigerus) Deepwater species related to Anglerfish with a similar head mounted lure or illicium used to attract prey.